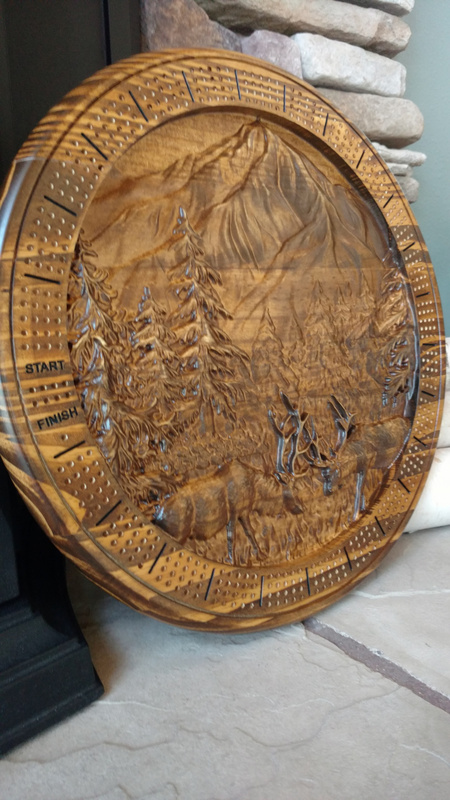 Was asked to make a cribbage board for Rocky Mountain Elk Foundation auction in Montana by my BIL. Actually made 2. 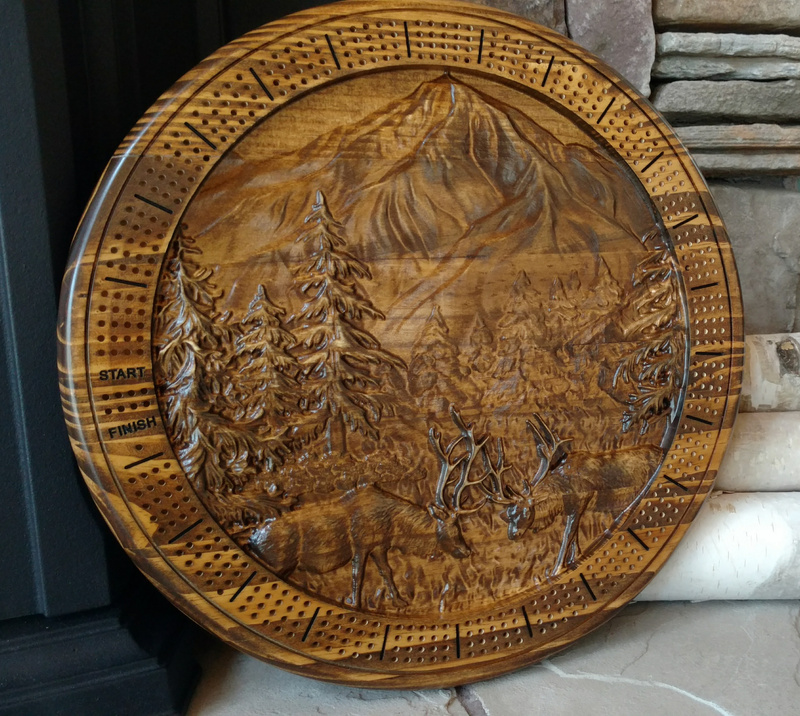 First one, made from .75" maple cupped terribly after carvng (even after being sealed) despite wood being in my shop for 2+ years. Was able to get it to lay flat again, but was not confident that it would stay, so I took Honest John's advice and bought a !' 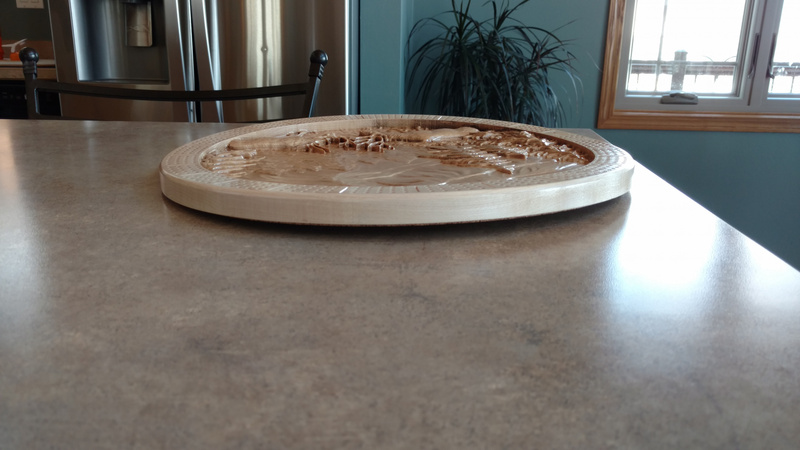 pine round from Menards to make the second one. Going to send both, hope they do well. Was quite pleased for my first go around..
JFPNCM, Barry747, chessnut2 and 17 others like this. Super impressive Dave . I used to hear people talk about this game ,but have no idea how it works . Love the art work in yours , wow ! I have no idea how to play either. Was fun yet frustrating. Thanks for the comments. 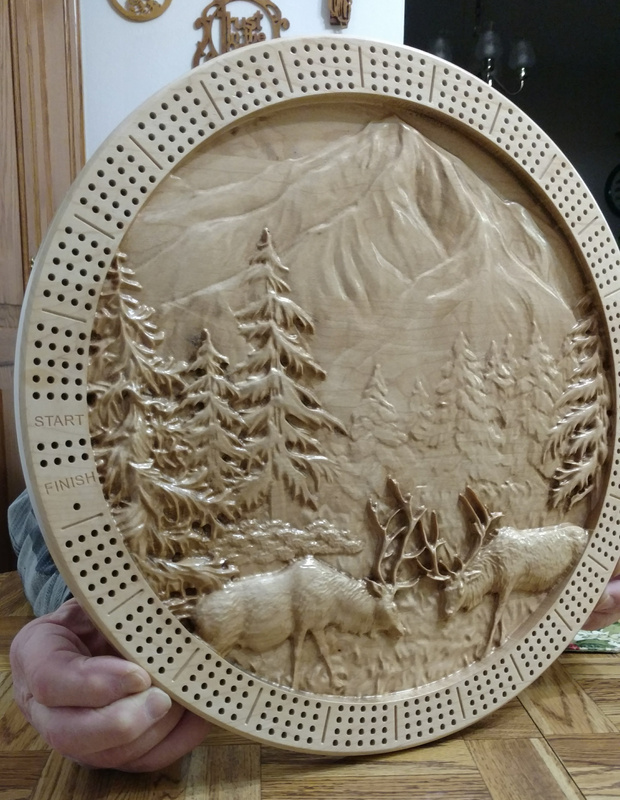 Very nice work and I don't know how to play Cribbage either! Great job, I know how to play, but never saw as fancy a cribbage board as those. DaninVan and old coasty like this. Interesting must be the week to donation to the Elk foundation. 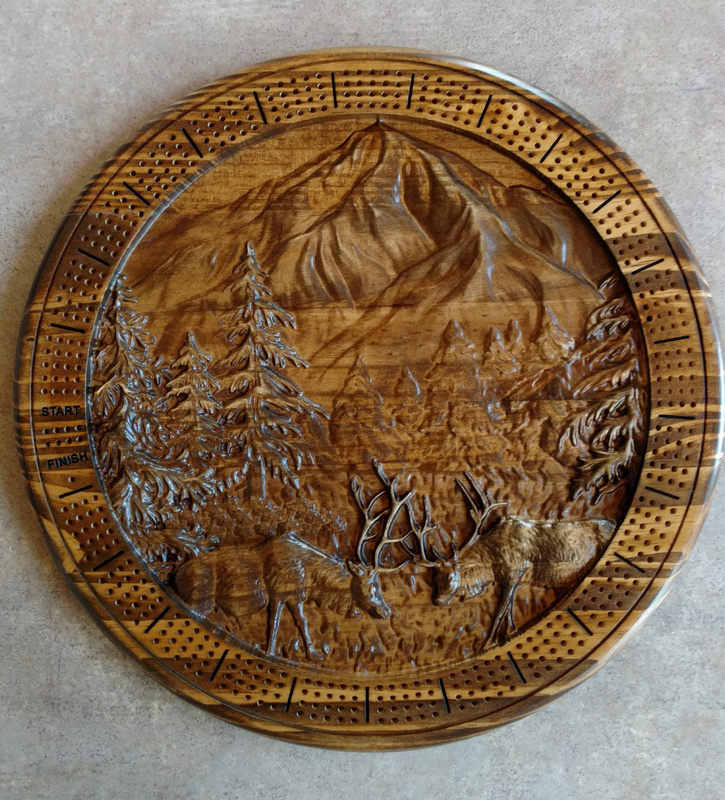 I am also shipping a piece to the RMEF foundation banquet in Seeley, Montana. where is yours going? MEBCWD and artman60 like this. Man with out Vision shall perish..women too! That's a great looking game board, Dave! Like others, I have no idea how to play the game but the boards have always looked interesting. cribbage is a great game fun to teach the grand kiddos. You did that round panel good, grasshopper!! !